The Union Pacific Railroad and Interstate 5 are side-by-side with the Sacramento River for almost 40 miles. 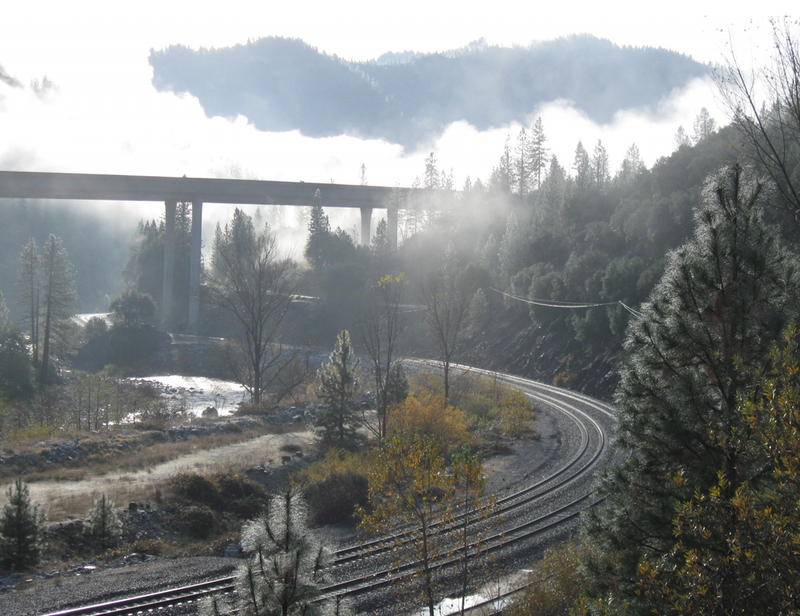 In that reach, the railroad crosses the river at ten places and Interstate 5 crosses the river in three places. Both the railroad and highway also cross many tributaries near where they join the river. Everyday, dozens of trains and thousands of vehicles pass safely along this corridor. Only a relative few carry hazardous materials, and while accidents involving trucks are a regular occurrence on the highway, no highway accidents have affected the river, to our knowledge. At the site of the disastrous 1991 Cantara Spill, the Union Pacific Railroad has constructed an engineered barrier and improved the tracks. According to the California Dept. of Fish and Wildlife, most of the river’s resources have recovered from the effects of the Cantara Spill. Another concern is for the chronic effects of small amounts of fuel, lubricants, and brake dust continually washing into streams from the highway and the railroad. There is no monitoring of these effects. On the positive side, the replacement of creosote-soaked wooden railroad ties with concrete ties has removed one potential source of chronic pollution.